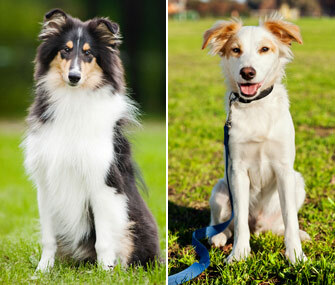 Mixed Mutts and Designer Crosses: Are They Healthier Than Purebred Dogs? According to conventional wisdom, mixed-breed dogs and cats are healthier than their purebred counterparts. On the surface, it makes sense: Dip too often into a shallow gene pool and the pet is more likely to inherit health problems. So mixing things up between breeds should create healthier genetic hybrids, right? This genetic hodgepodge and its perceived health advantages has been a selling point for designer dogs, such as Labradoodles, Yorkipoos and Puggles. And it’s one reason why breeders have been able to ask exorbitant prices. But it’s simply not what veterinarians are encountering in practice, according to a presentation at the Western Veterinary Conference by Dr. Jerold Bell, clinical associate professor at Tufts Cummings School of Veterinary Medicine and author of Veterinary Medical Guide to Dog and Cat Breeds. In a five-year study of veterinary cases at the University of California-Davis, there was no difference between mixed-breed and purebred dogs in the prevalence of common inherited disorders. Even designer-bred dogs were being seen with hereditary conditions that it was assumed crossbreeding would eliminate: hip dysplasia, epilepsy, cancer, hypothyroidism, eye disorders and more. Although mixed-breed dogs were just as likely to inherit health problems, there were a few exceptions, according to the study, which will be published in a veterinary journal later this year. Some genetic disorders remained isolated to specific breeds. Still, the findings make sense: If you cross a Labrador Retriever that has hip dysplasia with a Poodle that has hip dysplasia, what do you get? Chances are, a Labradoodle with hip dysplasia. In addition to hip problems, Labradoodles are now being diagnosed with Addison’s disease (a deficiency in adrenal hormones) and elbow dysplasia—two genetic disorders that are common to purebred Labradors and Poodles, according to Dr. Bell. Of course, there’s no way to control genetic disorders passed on by the accidental backyard mating or a tryst with the neighborhoodRomeo. But it's possible to prevent many inherited conditions in pure- and cross-bred pets that are mated on purpose, says Dr. Bell. Before breeding, Dr. Bell recommends that all animals be tested for heritable conditions such as hip dysplasia, deafness and eye disorders, as determined by the national parent club for each breed. Breeders are encouraged to register the test results on a national health database, such as the Canine Health Information Center (CHIC), sponsored by the American Kennel Club/Canine Health Foundation and the Orthopedic Foundation for Animals. Although a breeder can choose to keep test results private, open disclosures of results for breeding dogs and their close relatives can help identify potential risks. Breeders can search the database for a healthy mate that will produce the best offspring. Thinking about buying a puppy from a breeder? Then it’s a good idea to search the CHIC database at caninehealthinfo.org. The website provides a list of recommended tests for each breed. Potential owners can use this information to learn about inheritable conditions associated with each breed, so they can ask breeders for verification of health testing before they purchase a pet. In addition, each breeding dog that completes the tests is assigned a CHIC number, whether or not it passes all the tests. If the breeder has chosen to release the information, potential owners can view results for the parent dogs and relatives. Although there currently isn’t a similar website for cat information, potential owners can view breed-related diseases on the Feline Advisory Board website at fabcats.org. Of course, as more tests become available for inheritable conditions, few dogs and cats will have normal results for every test. But, according to Dr. Bell, prebreeding testing isn’t as much about creating perfection as it is about increasing awareness of health risks and finding good breeding mates that will produce healthier offspring. What Makes a Dog a "Doodle" Dog?